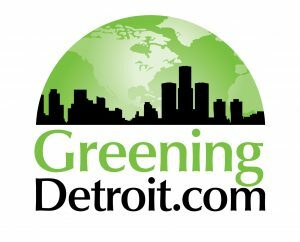 Last October, the first annual Sustainable Detroit Forum was convened at Wayne State University’s McGregor Memorial Conference Center. This event was designed to connect and cross-fertilize the sustainability communities of Detroit. This October, the Sustainable Detroit Forum will return to Wayne State University, for an even bigger and better event than last year! The day will be anchored by a series of presentations on Detroit-based projects rooted in sustainability, designed to maximize your exposure to a wide range of topics. These presentations will be accompanied by some keynote speakers, vendor displays (last year included everything from edible bugs to virtual reality), and plenty of time to learn more about the presentations you’ll see, and meet with new or old friends and colleagues. Please stay tuned for a list of sessions and speakers as they will be finalized over the next few weeks. Early bird prices are available through Wednesday, October 3rd. Tickets will include a light breakfast, lunch, drink tickets for the afterglow, and lots and lots of coffee. Event will be approved for 3 GBCI and AIA continuing education credits. The Forum is being organized by the USGBC Detroit Region community in partnership with a number of organizations with green and sustainable missions, including: AIA Detroit, Detroit 2030 District, Southeast Michigan Sustainable Business Forum, Elevate Energy, Michigan Interfaith Power and Light, Cinnaire, and Talbiyah, Inc.